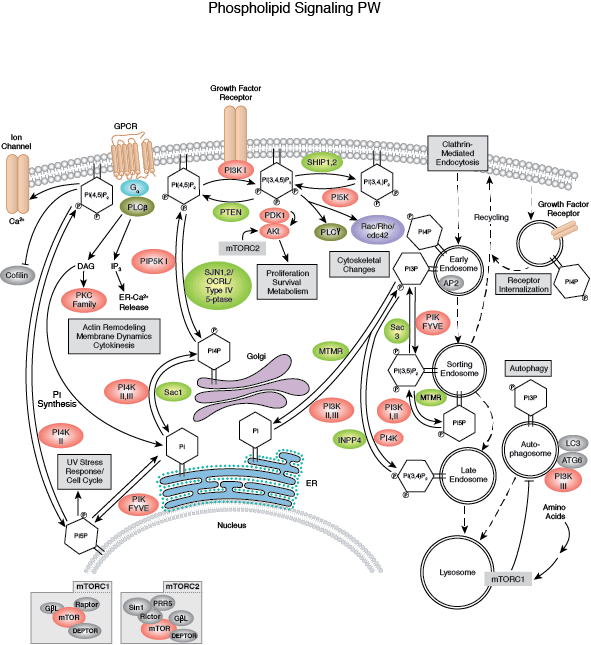 Robey RB, Hay N (2009) Is Akt the "Warburg kinase"?-Akt-energy metabolism interactions and oncogenesis. Semin. Cancer Biol. 19(1), 25–31. Zhang S, Yu D (2010) PI(3)king apart PTEN's role in cancer. Clin. Cancer Res. 16(17), 4325–30. Kloet DE, Burgering BM (2011) The PKB/FOXO switch in aging and cancer. Biochim. Biophys. Acta 1813(11), 1926–37. 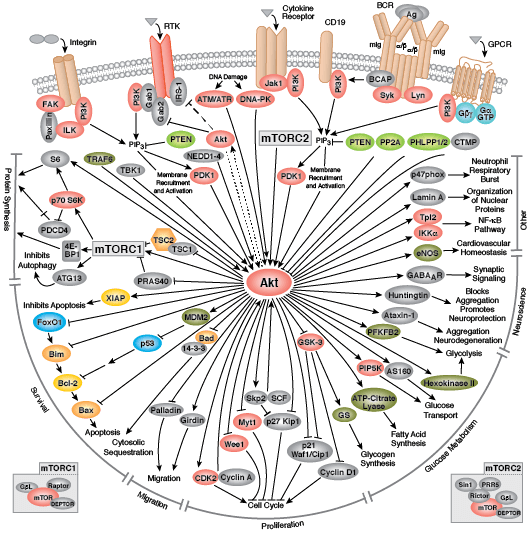 Hers I, Vincent EE, Tavars JM (2011) Akt signalling in health and disease. Cell. Signal. 23(10), 1515–27. 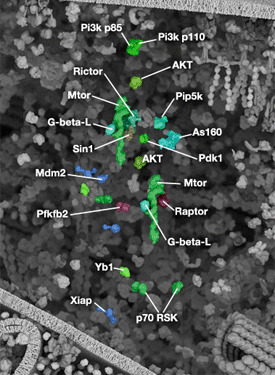 Wang H, Zhang Q, Wen Q, Zheng Y, Lazarovici P, Philip L, Jiang H, Lin J, Zheng W (2012) Proline-rich Akt substrate of 40kDa (PRAS40): a novel downstream target of PI3k/Akt signaling pathway. Cell. Signal. 24(1), 17–24. 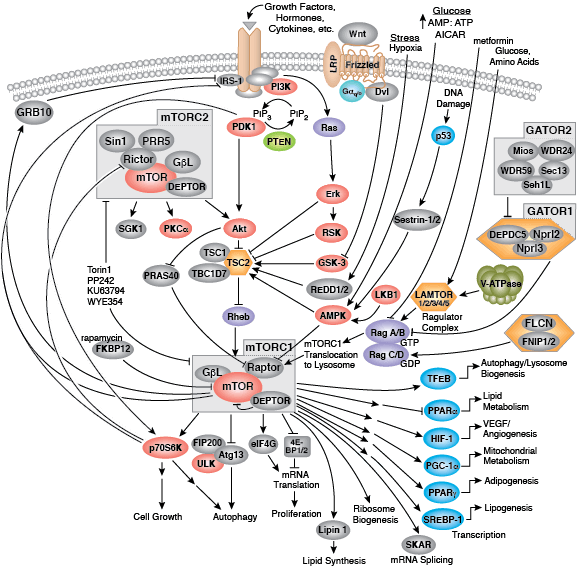 Dazert E, Hall MN (2011) mTOR signaling in disease. Curr. Opin. Cell Biol. 23(6), 744–55.